The WTP Pro 600 offers more power than its predecessor, and its new cooling design ensures that not only does this amplifier offers more power onstage but it keeps cool during use, reducing servicing requirements. Eden has developed new features such as an interactive mute indicator and a flexible studio quality compressor with amount and ratio controls and 3-stage compression indication, incorporating key elements of important outboard equipment into your rig. 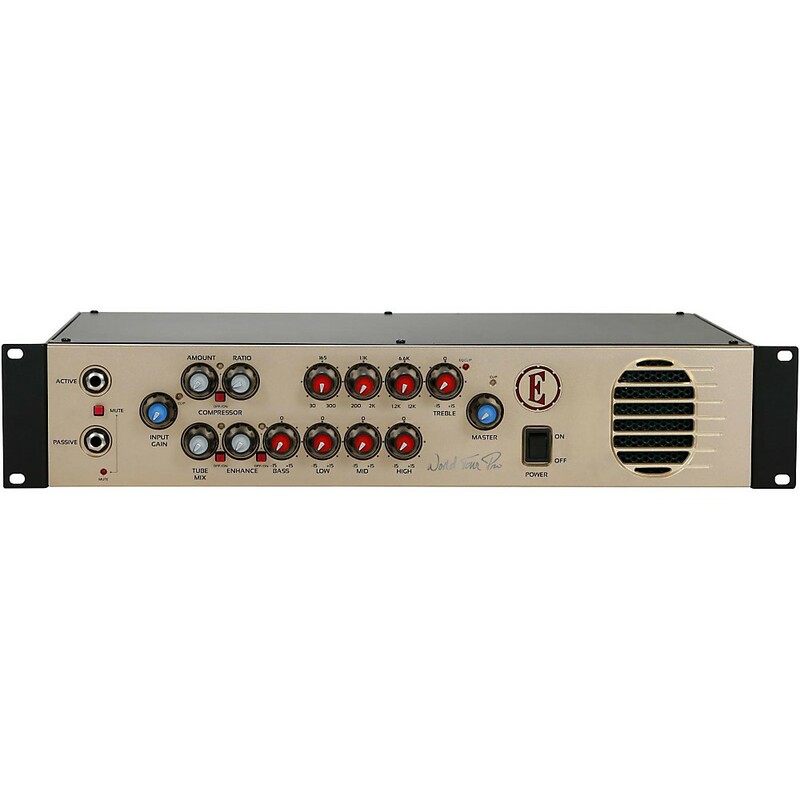 In addition, enhance, compression, tube and mute features can also be controlled by a stomp ware foot controller (sold separately), which indicates the mute state and compression state of the amplifier on the controller. The World Tour Pro 600 utilizes two tubes in the preamp stage. As the Tube mix knob is turned clockwise additional Gain stages add extra tube warmth to your tone.